Anyone who loves the game of golf needs to visit Bandon Dunes. The remote golf resort located on the rugged coast of Oregon is, in my opinion, everything that golf should be. How Bandon Dunes came into existence is a truly remarkable story of one man’s vision and his unyielding drive to see it through. Stephen Goodwin does a masterful job of telling the story of Mike Keiser and his impossible dream in a way that keeps the reader engaged and wanting to learn more about this fascinating place. 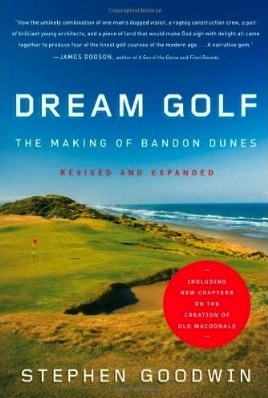 If you haven’t been to Bandon Dunes yet, reading this book will have you making reservations! This book should be required reading for anyone who is going to, has been to, or can spell the word B-A-N-D-O-N. I couldn’t agree more Ed!!!! fantastic book. Bandon on my bucket list!